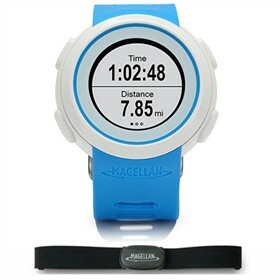 The Magellan Echo is a sleek fitness watch with Heart Rate Monitor designed primarily for running, cycling, swimming and other outdoor activities. The watch utilizes smartphone fitness apps by wirelessly connecting them to your wrist. It simultaneously displays fitness data, notifications and achievements that display on your smartphone. Echo gives you control over a variety of smartphone functions including start, stop or lap on your fitness app, and next song, play and pause on your music stream or playlist. The Echo is designed for running with a ruggedized design and is water-resistance that can withstand adverse conditions. It can be used as an everyday watch when you are not running. 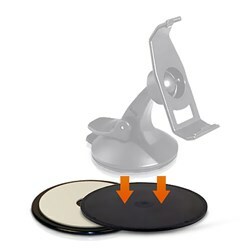 It operates on a replaceable battery. The Magellan Echo Blue with HRM has many exciting features for users of all types. You can extend the lifetime of your Magellan Echo Blue with HRM with the purchase of a FactoryOutletStore Factory Protection Plan. See the Magellan Echo Blue with HRM gallery images above for more product views. FactoryOutletStore stocks a full line of accessories like Dashboard Disk Mount for the Magellan Echo Blue with HRM. The Magellan Echo Blue with HRM is sold as a Brand New Unopened Item.